Home Again | Links | rheostatics.ca | got shows? 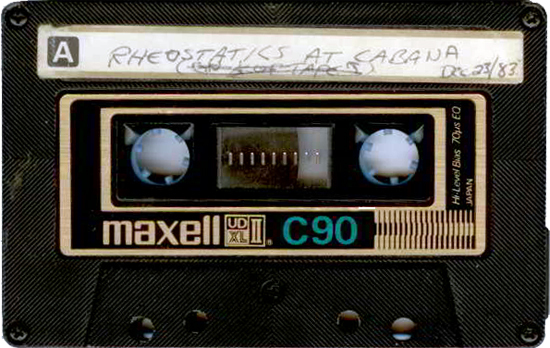 Rheostatics and Trans Canada Soul Patrol 1983 at The Cabana Room - Spadina Hotel Christmas Party show. Amazing sounding recording considering it is from 1983. I added some compression, limiting, EQ, etc to enhance the original sound. As of October 2 2016 this is the second oldest recorded show I have found to date.